I've always favoured a top tie for SRT, I find it cleaner and neater and don't need to worry about someone (or me!) cutting my base tie. 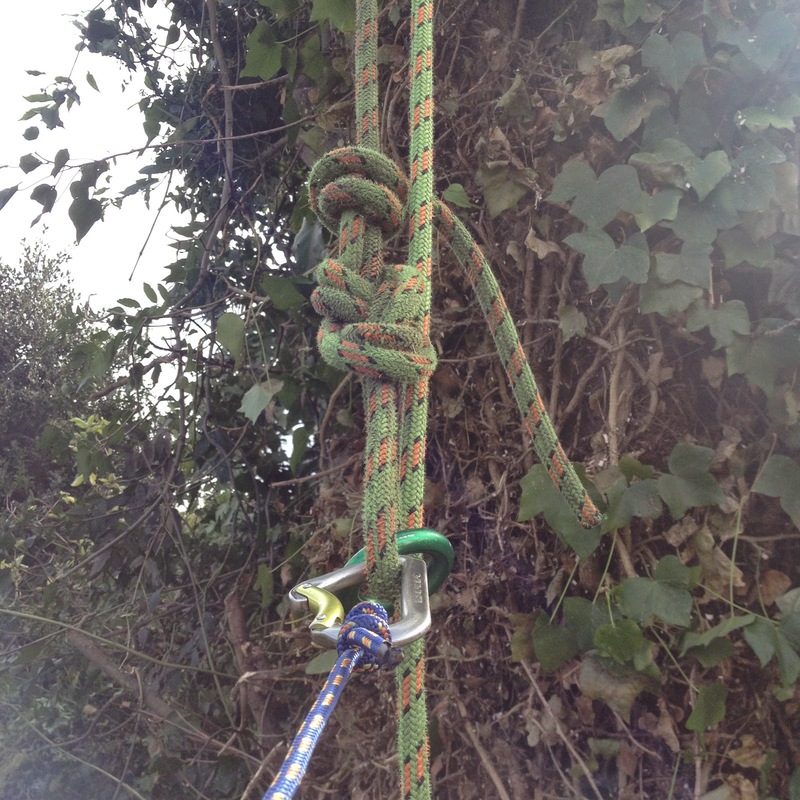 I tie a figure 8 around a dmm anchor ring which has been preinstalled on the other side of the line. This way there is less friction/ware on the point at which it cinches on the line/tree. The main flaw with this system being that I always need to climb back to the top to remove the tie in and then usually have to switch back to double rope to descend. I clip this into the figure 8 not the dmm anchor ring, as then when you pull the cord the ring stays in the right orientation and does not add friction to the system, it seems to retrieve the tie in quite well, the cord is just thick enough to get a good purchase on it to give it a good pull. It has worked on a 2ft ivy clad stem so I'm hoping it will retrieve from most anchors. the only issue so far is when to clip the line in and how much would it get in the way if installed at the beginning?